Luggage is a critical element to every successful trip. If you have a bad bag, chances are, you’ll have a less-than-enjoyable trip. Your luggage should be purchased, first and foremost, for its form and function. After all, you’d like to buy it once and buy it right, rather than buying a new suitcase or carry-on bag every three years. There are five essential features you should look for in a well-constructed suitcase. Do not purchase any suitcase, duffel, or garment bag without checking the functionality of the zippers! These hold your items in the cavity of your case and must be made of high-quality materials and operate smoothly. I don’t know which would be worse, a zipper that won’t open, or one that won’t close. And if you get a cheap bag, there’s a good chance you could figure that one out for yourself. 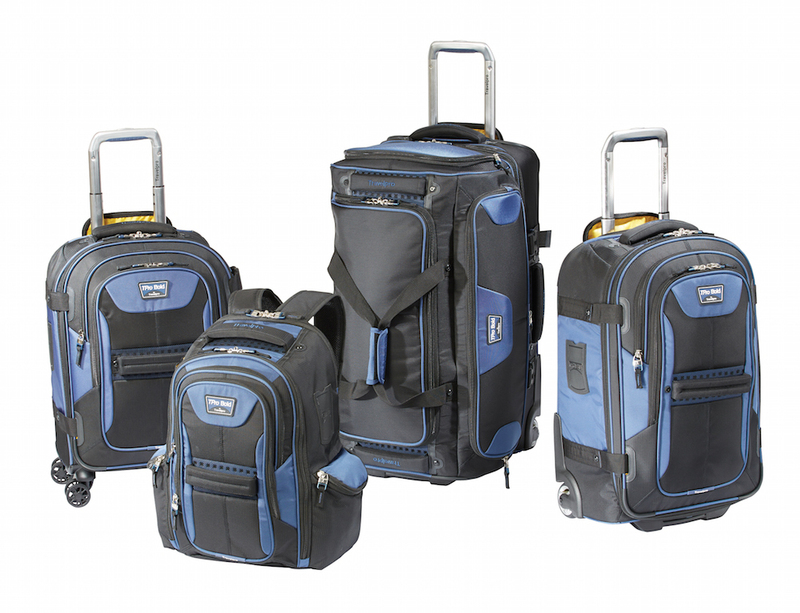 All TravelPro luggage features high quality zipper systems, so they open and close right every time. The longevity of any suitcase is determined by three components. If you’re looking to make a long-term investment in a high quality piece that will serve your travel needs for years and decades, pay special attention to three key elements that determine the structural durability of your bag. At first glance, it may seem that a wheel is a wheel is a wheel. Not so. If a suitcase doesn’t have high performance, sealed ball-bearing wheels, it may not glide smoothly and your ability to maneuver through the airport efficiently could be affected. If the wheels aren’t protected with a strong plastic housing that’s integrated into the frame system, they’re susceptible to damage. When you lose a wheel on a bag, you’re either going to have to replace your bag or limp along with an inferior alternative until it can be repaired. Good wheels are definitely a case of pay me now or pay me later. Choosing Your Luggage: What’s the Best First Piece? Luggage is a meaningful, practical gift to consider for a soon-to-be-graduating high school or college graduate, or for a holiday gift — Christmas, Mother’s Day, birthdays. As you try to pick that right first, foundational piece of luggage, you need to answer a few questions about the person first. 1. What type of travel will the person do? If your loved one is, say, going college within a car ride’s distance from home, then a large duffel or suitcase makes sense. If the college graduate is going to be relocating to a city farther from home for work or has a job that will require frequent travel, giving a bag that will not need to be checked makes the most sense, like a rollaboard. Believe us, they aren’t going to think kindly of you every time they incur an airline baggage fee. TravelPro has several different sizes of duffels and numerous styles of rollaboards and carry-ons to meet the needs of your young travelers. 2. Is the person an efficient traveler? This may seem like an odd question, but it’s important to know what this person is like when they travel. Some people are efficient travelers, making wardrobe choices before they pack in order to take only what they need. They don’t need a large bag — a rollaboard will do, rather than a 29″ suitcase. Others want to have room for that extra pair of shoes or an impulse purchase made while on a trip. Asking about the recipient’s packing and travel habits will help narrow your choices, and help you choose between Travelpro’s different sizes and styles of bags. 3. Will they travel regularly? A semi-frequent traveler, even someone who only leaves home three or four times a year, is going to appreciate a bag that lasts a long time. While it’s no problem to buy a cheap bag for a one-time trip (because you don’t have to keep the bag afterward), anyone who frequently travels is going to appreciate a bag that’s durable and dependable, and will last for years. Even traveling three times a year for 10 years is going to put a lot of wear and tear on a bag, so a bag with a lifetime warranty is ideal. Travelpro offers a lifetime warranty on many of its different luggage collections. Luggage is an investment that should last many years. Keeping these simple questions in mind when choosing that first piece will ensure it becomes as much a part of their new experiences as the memories they’ll be making. Travelpro® redefines premium travel with Platinum® Magna™ 2. Handsomely crafted with superior fabrics and genuine leather accents, this ultra-durable 13-model collection is the pinnacle of fashion, intelligent functionality and design innovation. The result is a truly luxurious roll. Backed by Travelpro’s Worry-Free Warranty, the Platinum Magna 2 ensures a lifetime of satisfaction. If you would like more information about the Magna 2 collection, or any of our other luggage, please visit the Travelpro website for more information. Business or Leisure Travel: Can One Piece of Luggage Do Both? If you travel regularly for business, you probably have your routine down to a science. You certainly don’t check your luggage; you can’t afford to wait at the carousel or risk losing your bag due to an airline foul-up. But what if you don’t travel very often, and want to invest in a bag that can be used for both business and leisure travel? We know all travelers want durability, but those who travel regularly for business need something that will withstand rigorous use. Worse than losing your luggage is using alternate luggage because your bag has to go in for repair of a damaged wheel, a broken telescoping handle, or a malfunctioning zipper. Our Platinum Magna 2 and Crew series bags are backed by a lifetime warranty and come in models ranging from backpacks, computer briefs, totes, garment bags, Rollaboards and Spinners in a variety of sizes. The Platinum Magna 2 collection warranty also covers damage caused by airline baggage handlers. Hybrids are also available in the Platinum Magna 2 series such as a business organizer with a laptop or tablet sleeve in the front pocket of a Carry-on Spinner.. It eliminates the need for another carry-on to manage as you maneuver through airports and hotels. 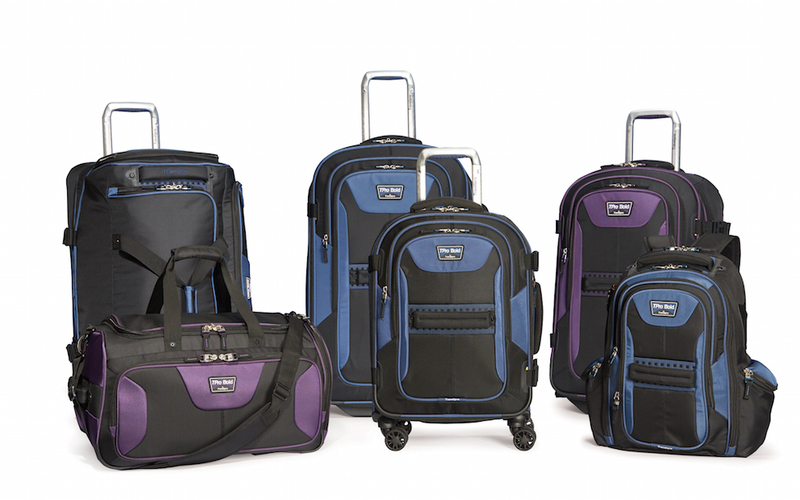 While these same bags will accommodate an efficient leisure traveler, our lighter weight Maxlite Collection, which includes soft and hardside versions, has spinners and rollaboards in a variety of sizes for leisure and business travel. These are tested to the same performance standards as our Platinum and Crew series for frequent business travelers. For the leisure traveler looking for luggage that can go anywhere adventure takes them, the T-Pro Bold 2.0 series offers a line of nine pieces, ranging from a backpack to drop-bottom rolling duffels to spinners, each with special features for the leisure traveler’s specific needs. What will work best for leisure depends on what type of travel you’ll be doing. If you need to conform to the ever-increasing airline restrictions or you travel mainly by car, we have a bag that will meet your demands. However, the more casual adventure look of T-Pro Bold 2.0 may not be suited to the button-down business image you’re trying to portray on your next business trip. What do you think? Do you prefer a one-bag-fits-all approach, such as a Rollaboard and backpack, for all kinds of travel? Or do you prefer the right-bag-for-the-right-job approach, and carry specific bags on specific trips? Leave us a comment below or on our Facebook page. Cheese It, It’s the Baggage Police! Ever feel like you’d like to conduct a citizen’s arrest of a fellow passenger whose oversized baggage clearly violates the size limitations for what is considered carry-on? Several airlines are deploying their own “baggage police” to try to enforce carry-on compliance among their passengers. Jetstar in Australia and United have begun instructing employees to eyeball customers at security checkpoint entrances and instruct them to return to the ticket counter to check their bags. United has even placed new carry-on compliance boxes at its counters and has sent an email to frequent fliers reminding them of the policy. But can either airline truly carry out this policing? We love the sentiment, but we’re not sure it will last or be picked up by other airlines. The issue seems to be the lack of industry standards, both domestically and internationally. Airlines don’t mandate checked baggage on certain flights even when they know the plane being used won’t be able to accommodate even a normal carry-on bag. Instead, airline personnel hand out gate-side checking tags issued for all carry-on luggage, so it can be gate checked and stowed in the regular luggage hold. Why is this? The answer has to do with overhead bin space and consumer retention. An industry standard for carry-on bags cannot be enforced because the amount of overhead bin space is different with each type of airplane. 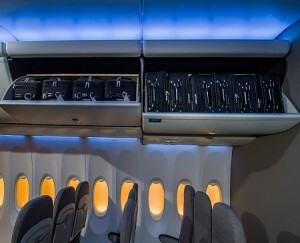 Some have small bins on one side, designed only to accommodate briefcases, backpacks, and small duffels, while the opposite side has large bins for traditional carry-on luggage. This means that not all passengers have equal access to that coveted real estate. If it can’t be made available for everyone, enforcing a standard isn’t possible. Bigger airlines have already heard consumer complaints on this issue. No carrier wants to get a bad rap for being a strict enforcer when others aren’t. It is true that baggage storage issues contribute to boarding times, and can impact an airline’s record of on-time departures and arrivals. But unless equal space is available, it doesn’t seem that airlines are going to have much success enforcing baggage limitations with passengers. Until that day, we advise: Keep calm and carry-on. As families and friends prepare for the upcoming holidays, let us make it easier on you by offering the penultimate resource – the 2015 Travelpro and Atlantic Luggage Gift Guide for this year’s holiday season. As thoughts turn to seeking out great presents for loved ones, these premium brands will ensure wishes come true for all those travelers on your list. This Gift Guide includes products that offer distinctly durable construction, travel-tested features, impressive design and superior materials built to go the distance. We can start with the Atlantic Ultra Lite 3 29″ Expandable Spinner, which is perfect for families looking for lightweight luggage at an affordable price. Made with a water-repellent polyester fabric and high-mileage wheels like our more expensive luggage, this attractive spinner is built to please. Featuring expansion capabilities for extra packing, this model of the Atlantic Ultra Lite 3 line comes with a 10-year warranty. The Atlantic Ultra Lite Hardside 21″ Expandable Spinner features expansion capabilities for extra packing, high-mileage dual Spinner wheels and the strength of a protective hard shell for families on the go. A stylishly textured finish resists scratching over the long haul. This piece includes 360 degree spinner wheels which roll effortlessly in any direction, a retractable aluminum-grade extension handle with multiple stops for users of different heights, and protective wheel housings for crash protection. The T-Pro Bold™ 2.0 by Travelpro 26″ Drop Bottom Rolling Duffel is another item sure to bring smiles to your gift recipients. This piece is superior in packing flexibility, with a zippered divider panel that allows for two separate packing spaces or, if opened, one large main compartment. 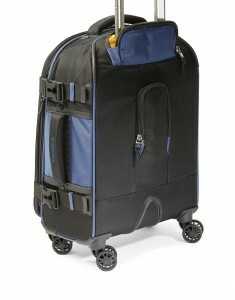 Made of water repellant fabric with a coating for greater stain and abrasion resistance, this luggage has durable crash protection, high performance ball-bearing wheels and a strong telescoping handle system with stops at 38″ and an extra-tall 42″ to ensure a comfortable roll for users of different heights. 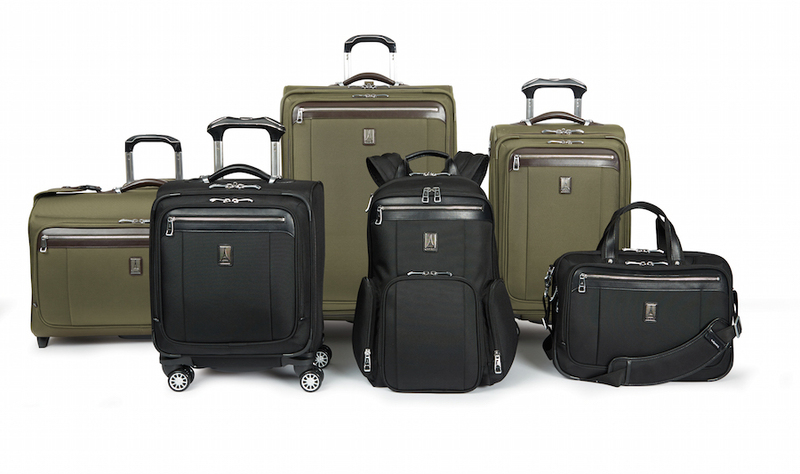 Travelpro redefines premium travel with the Platinum Magna™ 2 21″ Expandable Spinner. Handsomely crafted with superior fabrics and genuine leather accents, this ultra-durable model represents the pinnacle of fashion, intelligent functionality, and design innovation. With patented Magna Trac™ Dual Spinner wheels, the wheels always roll straight with minimal effort. Backed by Travelpro’s Worry-Free Lifetime Warranty, the Platinum Magna 2 21″ Spinner is the ideal carry-on model for the serious traveler on your holiday shopping list. Another thoughtful gift-giving choice is the Travelpro Maxlite 19″ Business-Plus Carry-on Hardside. 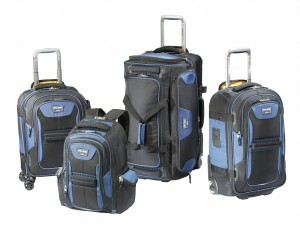 This product incorporates the most sophisticated technology and style for hardside spinner luggage in today’s market. Constructed from 100% polycarbonate material, this hard-working carry-on is engineered to withstand high impact handling and the rigors of long distance travel, while still being lightweight. Another extra is a builtin business organizer and padded laptop/tablet sleeve located in the front pocket for easy access to business essentials during travel. For the business traveler looking for convenience and functionality, the Travelpro Crew™ Executive Choice™ Checkpoint Friendly Computer Backpack is an excellent gift choice. This sophisticated item features a padded and quilted corduroy pocket for laptops up to 15.6″, plus a separate padded tablet pocket. A built-in business organizer and removable cord pouch provide efficient storage for business essentials and power cables. Added security is ensured with an RFID-blocking pocket which keeps credit cards and passports hidden to protect against loss and identity theft. Inspired by the blockbuster films and designed for children ages 3 through 11 years old, the Universal Hardside Collections spotlight the iconic visuals from Minions and Jurassic World, combining fun with modern travel features. Made out of strong ABS hardside material with PC film, the 3 pieces in each collection offer a retractable handle system with multiple stops to accommodate children of different heights. A low profile top carry handle makes them simple to pick up, while inline skate wheels allow children to easily take care of their own luggage. In addition, parents will like the two compartment design with interior zippered divider panels and elasticized hold down straps for packing capacity and flexibility. The Minions and Jurassic World Hardside Collections are backed by a three year product warranty. Since 1919, the Atlantic® brand has been synonymous with affordable, value-added and lightweight luggage. As a market leader in the lightweight luggage segment, from cleverly designed uprights and spinners to trendy and smart garment bags and totes, all Atlantic-branded luggage comprises superior quality and durability. Whether for business or recreation, travel is more pleasurable with Atlantic luggage, part of the Travelpro® family of products. Please visit the Atlantic Luggage website for a full list of the latest products and retail locations. Rollaboard owners rejoice! Boeing is trying to solve the ongoing carry-on luggage problem by adding bigger overhead bins. According to a new Travel Pulse article, the new bins, called “space bins,” will carry more luggage than the previous bins. This will hopefully ease the stress and strain put on travelers and flight attendants as more people try to sneak larger bags onto flights. The new bins will also be easier to load and see into, which is helpful since more than one traveler has been hit on the head by people removing heavy bags they didn’t quite realize they couldn’t carry. One drawback is that it will decrease head space a bit. It will be interesting to see how Virgin Airlines reacts to the news, given they recently said the interior plane space is actually the most valuable space. They were discussing charging for carry-on bags, and allowing free checked bags. Will this move be a revenue generator for them? From Boeing’s perspective, they’re likely responding to requests from the airlines, who are hearing from customers. Right now, the airlines want to continue to charge for checked bags and allow carry-ons. Those passengers looking to save some money will be better able to maneuver their carry-ons and fit them into the new large bins. Meanwhile, we’ve also been hearing some airlines are considering reducing the allowed carry-on sizes to accommodate more passengers using their carry-ons. However, Delta has said they plan to allow carry-on sizes to remain the same as they have been in the past. We like the idea of the bigger bins. If you could turn your carry-on bag sideways (which is what Boeing is suggesting), you can fit six bags into the space instead of four. The loss of headroom does not seem like a great loss, especially since we’ll all be sitting. We’ll see if that continues to be the case or if headroom will be subject to shrinkage like everything else on the plane. What are some of your ideas for getting more (or fewer) carry-on bags into the plane? Leave your ideas in the comments below, or on our Facebook page. Does the “last in, first out” rule apply to airline luggage the same way it does a bus or elevator? The short answer is “No,” and Yahoo Travel explores why this luggage myth is just that. The author, Christine Sarkis, asked Delta about baggage delivery, after spending a rather anxious time waiting to retrieve her bag on an international flight to check it back in again for her domestic trip. The answer? Luggage is distributed into the hold based on weight rather than when it’s checked in. When the luggage is loaded, it’s all done up in a very scientific fashion to help balance out the plane’s load. In fact, for large planes, the luggage is loaded into “cans” (big boxes), which are loaded onto the plane to spread the weight out evenly. While it’s not completely random, your bag could be in any of those cans, depending on the total weight of each can. Smaller planes practice “loose loading,” which means they load the luggage into the hold based on weight. They work to get the balance right, so even then, there’s no LIFO to the bags. We’re very curious about exactly how this works and would love to get an insider tour of how the baggage handling process works, but when we asked a Travelpro team member to ride in a bag with a GoPro camera, he said no. Meanwhile, we would be thrilled to hear any insider stories from baggage handlers or even be invited along on a luggage handling tour. When it comes down to it, says Christine Sarkis, the only two ways to get your baggage more quickly is to fly business or first class or to carry it on yourself, in which case all you have to do is reach up into the overhead bin to retrieve your precious cargo. This is also a great way of ensuring that you don’t lose your luggage. Do you have any other tips for retrieving your luggage faster on a trip? Let us hear from you. Leave your tips in the comments below, or on our Facebook page.